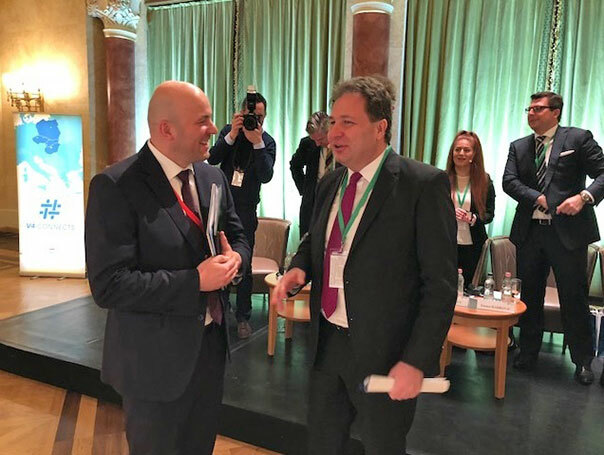 Dr. Robert Homolya, Minister of State for Transport, organized the Ministerial Summit in Budapest on the 6th of March 2018 with the participation of representatives from Croatia, Czech Republic, Estonia, Hungary, Ireland, Latvia, Lithuania, Malta, Poland, Portugal, Romania, Slovakia, Slovenia and Spain to discuss the “Future competitiveness of the road transport sector in light of the Mobility Package”. Mr. Radu Dinescu, Secretary General of UNTRR participated in the interactive panel discussions. The Summit offered an opportunity to have a high-level discussion on some of the key elements of the Mobility Package inter alia posting of drivers, driving and rest time rules and rules for cabotage and international transport. The discussion enabled the participants to have a shared approach during the negotiations within the Council and with the European Parliament.